GoFleet’s live GPS tracker provides fleet managers with a deeper insight into properly managing their crews. It a valuable tool that allows management to efficiently manage day-to-day operations and control all fleet-related expenses. The benefits of GoFleet’s live GPS tracker far outweigh the affordable costs of implementing this fleet management technology in your vehicles. GoFleet’s live GPS tracker can be integrated with a wide variety of software that your business works with. This is a critical component for streamlining operations and keeping your fleet management uncomplicated. With system integration, you can view your vehicles locations on the same maps used by other software vendors. For example, a utility company can see their fleet’s location on the same map as their their power lines. GoFleet’s system integration capabilities can simplify dispatching for your business. 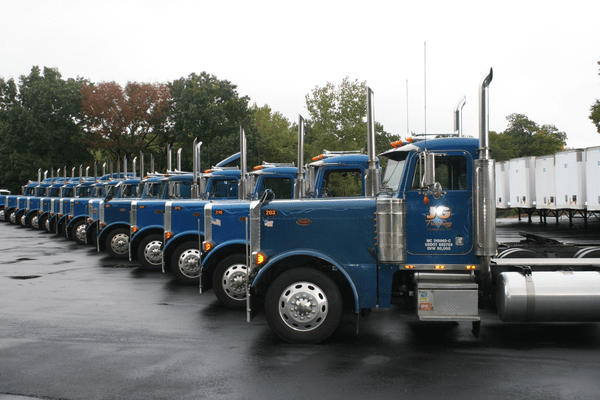 Fuel costs are one of the largest costs for businesses with fleet operations. The price of fuel continues to increase so fleet managers have to control the fuel usage in order to reduce the costs. GoFleet’s live GPS tracker can reduce your fuel costs significantly. Fleet managers are able to dispatch vehicles more efficiently. With live GPS tracker data, dispatchers can send the closest vehicle to a job site or to an emergency call. They can provide the fastest and shortest route to the drivers using audible turn-by-turn driving directions. In addition, fuel can also be reduced by eliminating unnecessary mileage. Fleet managers will be able to see if drivers go out of the authorized area to make personal stops or take a longer route. An automatic alert can be set up to notify fleet managers if a driver goes off route. Fuel costs can also be cut by improving your drivers’ driving habits. With GoFleet’s live GPS tracker, fleet managers can be notified if drivers are speeding, driving aggressively or excessively idling. All of these driving habits contribute to unnecessary fuel usage. The alerts can be sent to the fleet manager even when they are offline via SMS text message or email. This enables the fleet manager to address the poor driving habit immediately so fuel does not get wasted. For more information about GoFleet’s live GPS tracker, Contact Us.